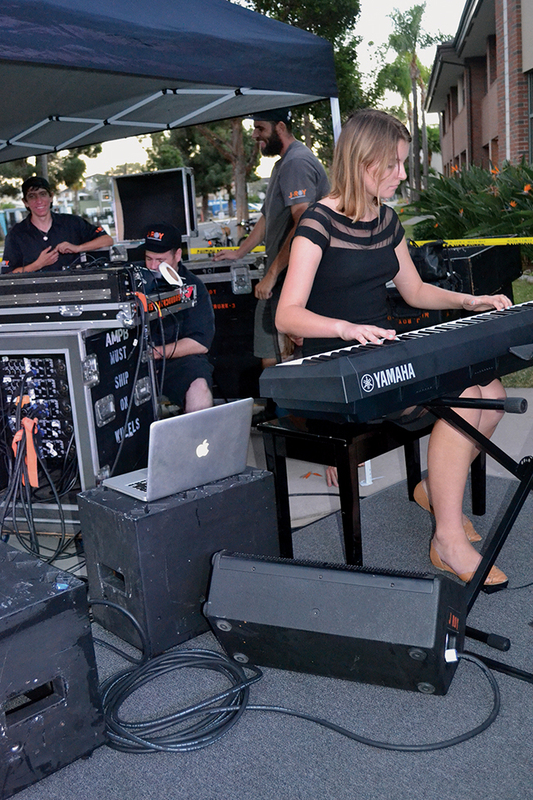 As Coronado School of the Arts (CoSA) begins its 21st year, its staff and students are downright celebratory over recent developments. 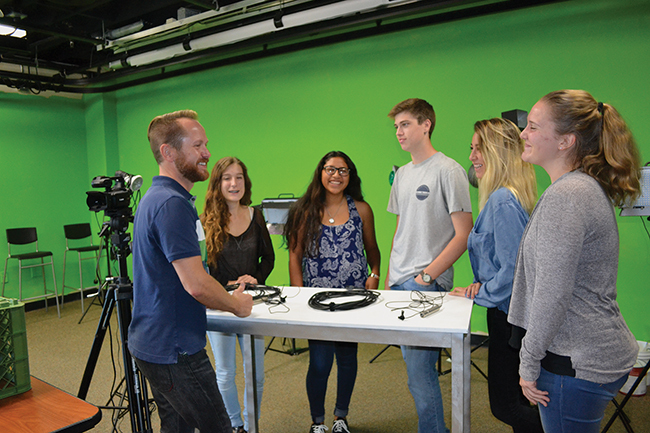 First, the Coronado Unified School District (CUSD) just got word that it has been awarded a $1.25 million Department of Defense (DoD) grant specifically for arts education. The grant’s timeline covers five years, and dovetails with the district’s five-year strategic plan that includes three goals: arts education for every year of education for all students; professional development in arts education for all teachers; and community engagement. Last winter, the district added an elementary school band. There is also an elementary choir. “These are free for students and taught by certificated teachers,” Schmeichel said. (See the related story on page 22 about Matt Heinecke, the school district’s new music director). The benefits of arts education are manifold, said Schmeichel. “Arts provide opportunities to be creative and develop critical thinking, cooperation and communication skills,” he said. “The ultimate goal is that arts experiences provide an outlet for students to find their own personal strengths. CoSA, an intensive arts school on the campus of Coronado High School, is composed of six conservatories — technical theater, classical and contemporary dance, instrumental music, musical theater and drama, visual arts, and digital media. This year CoSA has its largest percentage of Coronado students participating in the program: 40 of the 70 freshman hail from Coronado. “When we go through the audition process, we prefer not to know where the students are from,” Schmeichel said. “We are primarily interested to uncover if they have the passion and just enough background experience to indicate that three-hour-a-day additional classes are something they can manage. “It is our goal to provide intensive arts experiences for those students that are interested; to make sure CoSA is a good fit,” he added. Digital arts, the last conservatory to be added to the program, has been around for 11 years but has seen the largest increase in students over the past three years. It includes four focus areas — animation, filmmaking, graphic design and game design, added last year. “Technology changes quickly,” Schmeichel said. “We’re constantly working to stay on the innovation side of digital arts. But, he cautions, interaction with technology does not mean jobs. “You must be able to interact using creativity to get jobs,” which is why much of the digital arts work at CoSA is done in teams. In October, the district showcased its arts programming with a “Fall for the Arts” preview. To say the least, students now have multiple avenues to pursue their passions. 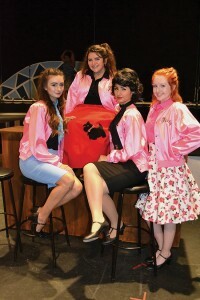 “The Pink Ladies” of CoSA’s fall musical Grease included, from left, Madison Hansmeyer, Briana Sanchez, Alana Schick, and Makaela Glancy, all seniors. 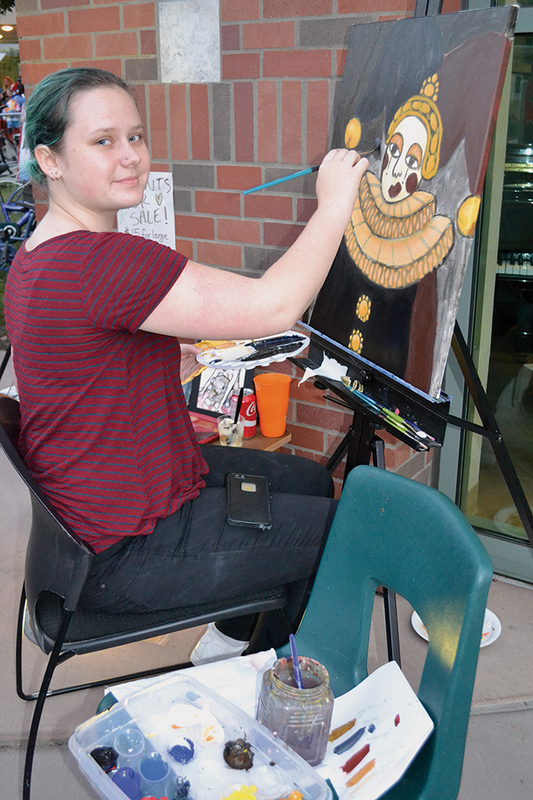 Kaelyn Owens, a sophomore in CoSA’s Visual Arts Conservatory, puts the finishing touches on her latest work. 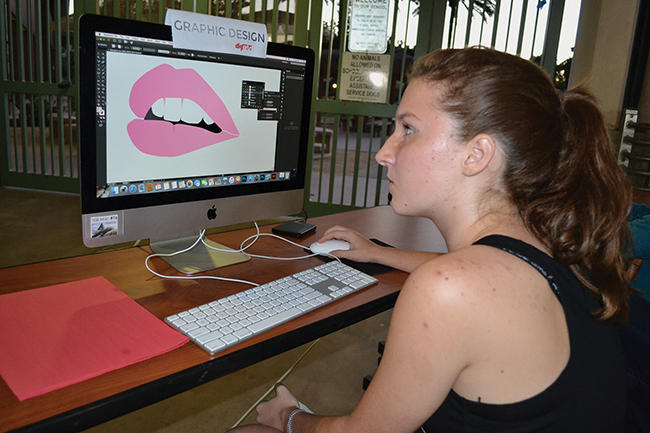 Raychel Pinkston is specializing in graphic design in CoSA’s Digital Arts Conservatory. 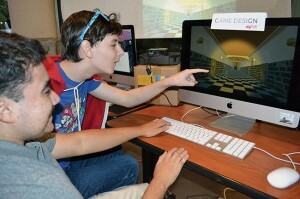 Luke Buckley, a junior, and Nicholas Olmo, a senior, are specializing in game design, one of the four divisions of CoSA’s Digital Arts Conservatory. CoSA director Shane Schmeichel, left, chats with CoSA students (from left) Nayana Peterhans, Josheiry Torres, Adam Sheehan, Ana Hernandez and Blaze Bailey.